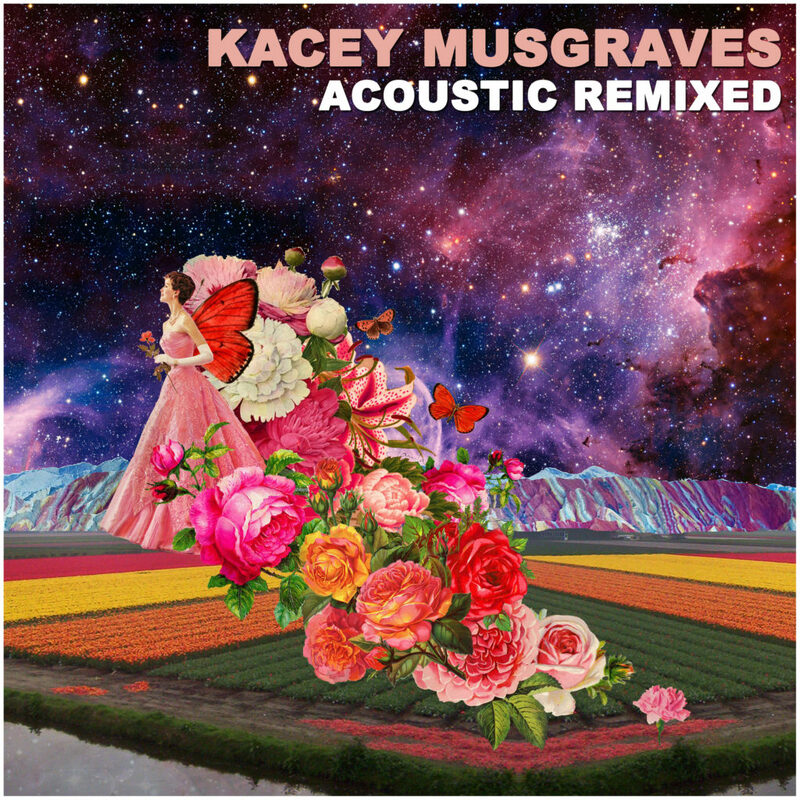 To commemorate the ten (10) year anniversary of recording, Triple Pop has today announced the release of “Acoustic Remixed,” a digital three (3) song EP with vocals performed by GRAMMY award-winning musician Kacey Musgraves. The EP is a newly remixed and remastered version of the “Apologize/See You Again” EP (Triple Pop, 2013) available on iTunes. It features three new mixes of the recordings Kacey recorded on March 27, 2008, including two new versions of “Apologize” (Chill Remix & Republic Mix) and “See You Again” (Mood Remix). Working with professional musicians and producers, Triple Pop enhanced the original masters, which were acoustic vocal-guitar only recordings, by adding with newly recorded synths, strings, guitars and percussion. “The simple acoustic version of “Apologize” is Kacey’s #1 most streamed track on Spotify with over 31 million streams – it just connected with her fans. To commemorate the ten year anniversary of the recordings, we’ve taken the original masters and enhanced them for all her fans.” said Mr. Robison, producer of Triple Pop. The pre-sale for the EP begins Friday March 16, 2018, with the first single “Apologize” (Chill Remix) available for digital download on iTunes and Google Play. The full digital EP will be released on March 30, 2018 on all streaming music stores worldwide, including Spotify, Pandora and Amazon Music. The official music lyric videos for “Apologize” (Chill Remix) and “See You Again” (Mood Remix) are also now on YouTube. Singer-songwriter Kacey Musgraves is an alternative-country music singer and songwriter from Golden, Texas. In 2008, Triple Pop was the first record label to discover and record Ms. Musgraves when she was just 19 years old in Austin, Texas. For Triple Pop, Kacey performed the acoustic songs “See You Again” and “Apologize,” which are now both available digitally on the two (2) song EP “Apologize & See You Again” (Triple Pop, 2013). “Apologize” (Acoustic Version) charted in the Billboard Hot Singles Chart at #23 on February 15, 2014. As of 2018, the single has gone on to become Mrs. Musgraves #1 most streamed song on Spotify with over 31,000,000 (31M) streams. Both songs showcase Kacey’s natural performing talents at an early age. The songs were recorded at Brain Machine Recording Studios in Austin, TX. In 2012, Kacey signed with Mercury Records (Universal Nashville) and released her first major label single “Merry Go ‘Round” in 2012, which has been certified RIAA Gold. Kacey’s debut major label album, “Same Trailer Different Park,” debuted at #2 in the Billboard Country chart. Her follow-up album, Pageant Material, reached #3 in the overall Billboard Top 200 albums. Kacey has been nominated for multiple American Country Music Awards. Kacey was a multiple nominee for the 2013 Country Music Association Awards. In 2014, Kacey won two (2) GRAMMY Awards for Best Country Album and Best Country Song of the Year. Musgraves’ third studio album “Golden Hour” also arrives March 30th. Musgraves is currently on tour as part of Little Big Town’s the Breakers Tour, and is set to join pop star Harry Styles’ tour on June 6th in Dallas, Texas. Triple Pop is an independent record label based in Austin, Texas. Triple Pop’s current and alumni artists include Iva Dawn, Whisper Suite, Donald Gould and Kris Farrow. Triple Pop distributes worldwide on all major digital music retail platforms. Triple Pop is an authorized iTunes/Apple Music content distributor.